As with a lot of the cars that are being unveiled as future-ready, this one is all electric and it’s pretty spicy. Kia has been showing its new vehicle, the fully-electric, all-wheel drive, four-seat car that has a range of more than 300 miles on a single charge. And what have they named it? Being as hot as it is, will all the features, it couldn’t be anything but the HabaNiro! It looks muscular and capable of doing everything, with 20″ wheels and a rugged exterior. So it’s perfect if you’re looking for a car that can go almost anywhere. Kia are referring to it as “The Everything Car” or ECEV because it doesn’t fit neatly into one category, it’s a commuter car, a crossover, an SUV and state-of-the-art. Right now this car isn’t being considered for the UK market, but give it time! This isn’t exactly news, however, recent research conducted by Direct Line Group has highlighted that the industry is facing a diversity struggle. Only 26% of Brits would like a job in a garage, with just 19% of women wanting to work in the industry. Issues that the industry face are to do with a drop in interest (59%) which leads them to dismissing the profession as an option, the work is too strenuous and intense (17%) and the perception that it’s a man’s job (9%). 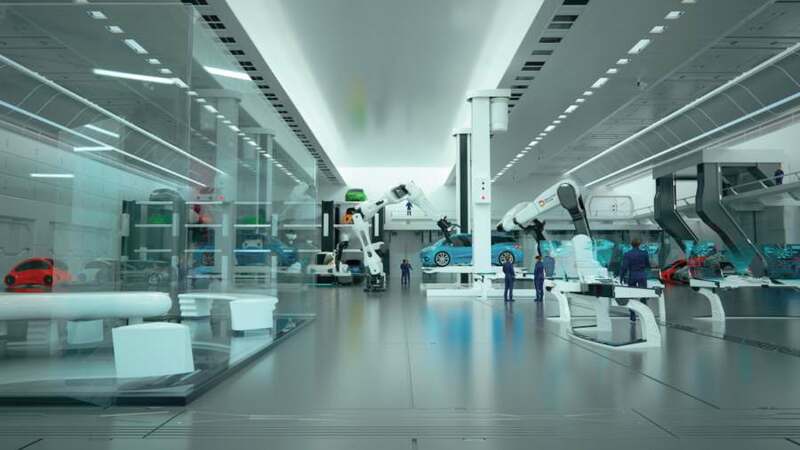 Direct Line Group, working with Thatcham Research, DG Cities and the Women’s Engineering Society, have collected insights to show the way that the garage of the future will look, and it’s definitely futuristic! The technology that it’s suggested auto repair garages will use going forward will resemble something out of Iron Man or Minotirity Report rather than the auto shop scenes from Grease. Aston Martin have revealed a number of new cars over the last few months. The DBS 59 is special. A limited run of just 24 special edition DBS Superleggeras being built at their manufacturing HQ in Gaydon, it is a special commission. The car has been designed and built to celebrate one of the most noteworthy moments in the manufacturer’s motorsport history. The DBS 59 is honouring the DBR1 and its incredible placing (1st and 2nd) at the 24 hour Le Mans. With 113.066 cars sold and the title of world’s best-selling sports coupe, Ford has many reasons to celebrate the Ford Mustang. And then you add in the fact that the sport’s coupe has been around for 55 years. This is the fourth year that the Mustang has claimed the best-seller title, and sales fo the coupe are up more than 27% as of April 2019. As well as being the best-selling coupe globally, the Mustang is also recognised as the best-seller in the US, where over 75,842 units were sold throughout 2018. The coupe was available for purchase in 146 countries in 2018, from Australia to Peru and many places in between. Vauxhall have been ahead of the game for 30 years when it comes to cutting emissions. In 1989 the manufacturer introduced the three-way catalytic converter on every model in its range. At the same time they also lowered their prices to make sure that the more eco-friendly cars were available to everyone. Today the carmaker is continuing to take its environmental responsibilities seriously, ensuring that the cars currently being produced meet the strict emissions standards of the EU (6d-TEMP). Vauxhall has also announced that they will be producing an electric alternative to all their vehicles by 2024. Groupe PSA, the French company who own Peugeot, Citroen and Vauxhall, among others, have published their climate governance. This document outlines the implementation of the climate strategy they are planning through their company (and the companies they own). In their Climate Governance Report, Groupe PSA has given its stakeholders a vision of the measures it is planning in order to fight climate change and mitigate the effects that are being felt globally. The Climate report is part of their larger Corporate Social Responsibility report (CSR) in which they have also outlined all the work that the Group has carried out to help resolve societal issues (not restricted to the environment). It’s been a great few years for McLaren. 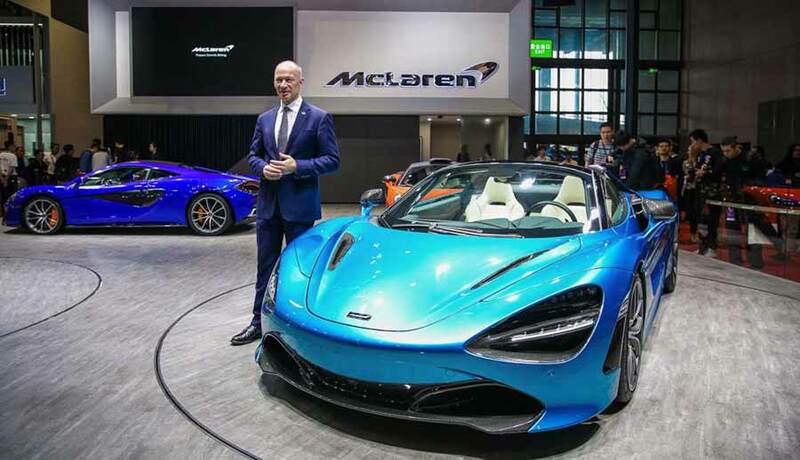 At the Shanghai Auto Show, which is taking place between 16 – 25 April, McLaren has unveiled two new cars, the McLaren 720s (which you can see below) and the 600LT Spider. The British motor company is also celebrating a fantastic year of sales growth in the Chinese market, of 122.5%. These sales make up 7% of the company’s global sales. They were also celebrating 1,000 McLarens on Chinese roads. This is McLaren’s 5th year in the Chinese market. It’s time for release of quarterly sales figures for car manufacturers and Kia is no different. With the release of their last quarter’s information, the South Korean car manufacturer has revealed that they experienced record sales across Europe, with an increase of 0.6%, giving them a market share of 3.2% across the continent. Sales of Kia vehicles across the UK contributed over 20% of their total European sales, while 1 in 9 of the new cars sold by the brand had electrified powertrains. Both the Ceed and the ProCeed experienced positive growth, with the new model ProCeed proving more popular than it’s predecessor. Ceed sales grew by 29% after the new model was released. According to a recent survey, the popularity of hybrid vehicles has risen to an all-time high. This research was conducted as part of the Driver Power 2019 Awards that are conducted by AutoExpress, which looks at driver/owner satisfaction. The most popular hybrid, also ranked the most satisfying car to own, was the Toyota Prius. The car scored 93.22% owner satisfaction. Because of this, and many other factors, the car was also awarded Driver Power Car of the Year for 2019. Do you run a business in an urban area? Perhaps it’s one that has suddenly been hit with extra costs thanks to the launch of ULEZ? If you’ve been looking at your compact business vans thinking about ways to cut costs, then it looks like Renault‘s latest experiment is something for you. 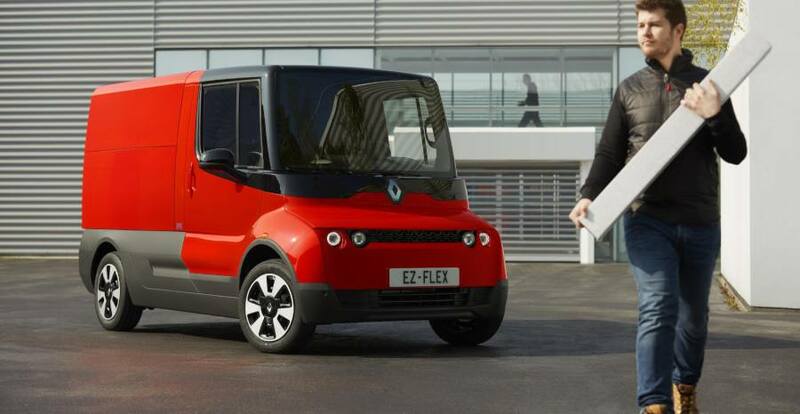 The EZ-Flex is an electric and connected light commercial vehicle (LCV) ideal if you’re looking to reduce fuel costs. Of course, there is a catch! Right now it’s an experiment. Renault is planning on loaning these vehicles otu to various professionals across Europe in order that they can gather data so that they can understand the needs that are associated with daily delivery of goods in urban areas. If you’re looking for a great and versatile MPV to take the family on long trips in comfort then, according to over 14,000 British motorists you won’t go wrong if you decide to look at the Citroen C4 Picasso (or the Citroen Grand C4 Picasso). The MPV won top position in the 2019 Driver Power Survey (as conducted by AutoExpress), and was praised for practicality, running costs and child-friendly features (making it the ideal car for the larger family). The Picasso has been renamed the SpaceTourer (May 2018), however the model maintains the same high standards. 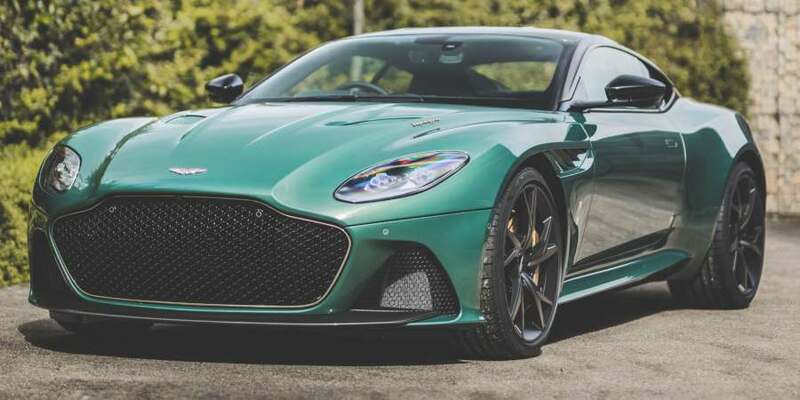 We saw a lot from Aston Martin at Geneva, but it appears that their revelations for this year haven’t come to an end, with their latest announcement at Shanghai Auto in China. Unveiled by the Chief Creative Officer, Mark Reichman, the new Rapide E is the company’s first all-electric model and it’s ready for production. This new car is the first one to be built at the UK-based St Athan production facility, which has been announced as the company’s Home of Electrification. It is also their first step toward achieving their strategy of wider electrification. The Sprinter is already WLTP compliant, but now Mercedes-Benz Vans Ltd have enhanced the van even further in order to make it even more appealing to business owners looking to purchase or lease a new van. How are they doing this? They are making Stop/Start technology a standard function in all new Sprinters produced after June 2019. Stop/Start technology further improves the fuel-economy of their van range, and will benefit any customer who chooses a Sprinter for their business. 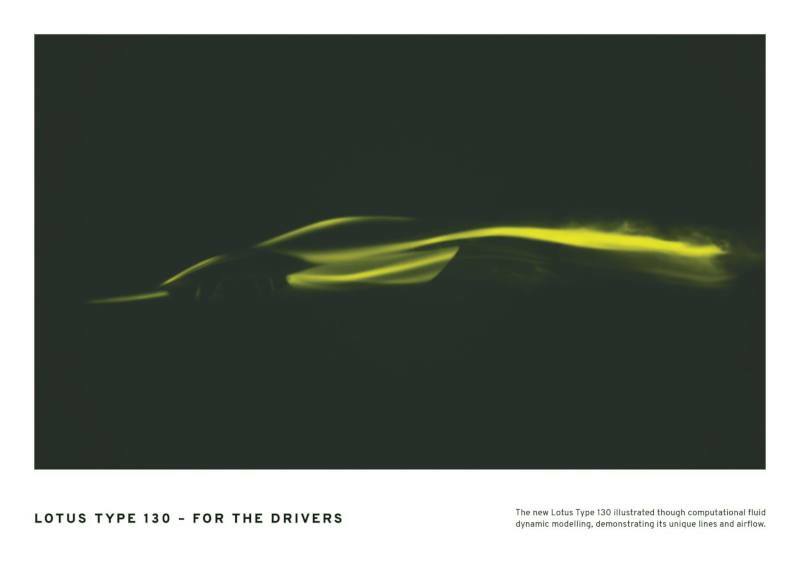 Lotus have announced that they are manufacturing their first all-new production car in 11 years with the Type 130. The Type 130 (concept image can be seen below) is an all-electric hypercar which will make its debut at in Shanghai this week. It will be the first completely British electric hypercar to be produced. It appears that Mitsubishi has hit a milestone when it comes to the sale of their Outlander PHEV. The Outlander, which was the world’s first hybrid SUV, launched in 2013, has sold over 200,000 units worldwide. Mitsubishi’s PHEV SUV is unique in that it offers electric drive motors at both the front and rear. This ensures that the vehicle has genuine all-wheel drive traction at all times. Since it’s launch 6 years ago, the vehicle has picked up multiple awards. This includes, most-recently, the 2019 Best Plug-In Vehicle which was awarded by Company Car and Van Magazine. Volvos are going to start talking to each other! Volvo has announced that they have moved another step forward with their plans to improve traffic safety. The company’s new technology allows Volvo cars to communicate with each other, alerting drivers of road conditions nearby, including slippery surfaces and hazards. All of this will be done using a cloud-based network. Volvo first introduced their Hazard Light and Slippery Road alerts in 2016 across Sweden in Norway and these features will become available to Volvo drivers across Europe next week. The features will be standard for all model year 2020 Volvos and it will also be possible to retrofit on some earlier models (models based on the Scalable Product Architecture or Compact Modular Architecture platforms built from 2016 onwards). Where is the most frustrating place to drive in the UK? Looking at four key driving frustrations; speed cameras, potholes, slow traffic and delays, it’s unsurprising that recent research conducted by car finance company Money Barn puts Greater London at the top of the list for most frustrating places to drive. When it comes to speed cameras Essex came top of the list and East Sussex scored 10 out of 10 for potholes. Unsurprisingly, urban areas scored high when measured for frustrations caused by slow-moving traffic and delays. And Kingston Upon Hull ranked lowest for roadworks, scoring 8.2 out of 10. Classic car auction house Barons are holding their Spring Classic sale on Tuesday 30 April at Sandown. Whether you’re searching for an Aston Martin DB7 Vantage, or a 1967 Fiat 500 there is something for every classic collector at the next auction. There are a wide variety of classic cars available to look at and they are still accepting lots for the day. There will be a lot of reveals this week as it’s time for another auto show, this time in Shanghai. With their new concept car, Mercedes-Benz intends to show how spacious a compact car can be. The GLB is a sturdy but smaller-sized SUV-style vehicle that fits neatly between the GLA and GLC in the brand’s SUV range, The car is practical and versatile, perfect for the smaller family. Audi has, today (15 April), unveiled a car for the future, the AI: ME. This city car is electric, and is equipped for level 4 autonomous driving. It could completely change everyday usage in the future. So, what exactly is ‘level 4 autonomous driving’? Level 4 doesn’t require any assistance from the driver. However, function is limited to a specific area, such as along motorways or an area of inner cities that has been specially equipped. Unlike a car that would be classed as ‘level 5 autonomous’, the AI:ME still requires driver input and therefore comes with foot pedals and a steering wheel. According to new figures from the SMMT, the number of plug-in electric cars driven on British roads increased by three-quarters in 2018. New figures show that there are now 195,410 plug-in vehicles on UK roads. Ownership of alternative-fuel vehicles (AFV) increased by almost 30% last year. There are now a record 620,000 hybrid, plug-in hybrid (PHEV) and battery electric cars now owned or leased by British drivers. The figures released also revealed that the most popular colour for cars is, again, black, closely followed by silver (which it knocked off the top spot), then blue! 12 million cars on the road are now owned by women, an all-time high. This figure rose by 1.4% in 2018. The number of cars registered by men rose by 0.5%, reaching 17.9 million. Renault presented their new all-electric City K-ZE, a city car for the modern world. The concept for this new electric car was first unveiled at the Paris Motor Show six months ago, and this week their new urban vehicle with SUV design elements is being revealed. This new car is one of 9 passenger cars that will be produced in China by 2022, and the French car company have announced that three of these new models will be electric. The City K-ZE has been designed with the China market in mind; designed in China for China, as part of a joint venture between the Renault-Nissan-Mitsubishi Alliance and a local manufacturer, Dongfeng. Skoda gave us a glimpse of the future of electric cars in March when they showed their Vision iV. They have now taken the car ‘on the road’, putting it on their stand at Auto Shanghai 2019, which starts on the 16 April. The e-mobility sector is growing rapidly in China and for Skoda the country is their most important single market. At Auto Shanghai 2019, Skoda is presenting itself as electric, innovative and sustainable and they will be showing both the Vision iV and their Klement as well as their full SUV range. This includes the Kodiaq GT, Karoq and the newest member, the Kamiq. Earlier this year VW announced that they were going to be launching some new electric vehicles as part of a brand new range under the banner ID. This week, at Auto Shanghai, the German car company will be unveiling the SUV from the ID range, the ID. Roomzz. This new vehicle is zero-emission, battery-powered and silent. It also combines future IQ.Drive sytems and has level 4 autonomous driving capabilities. 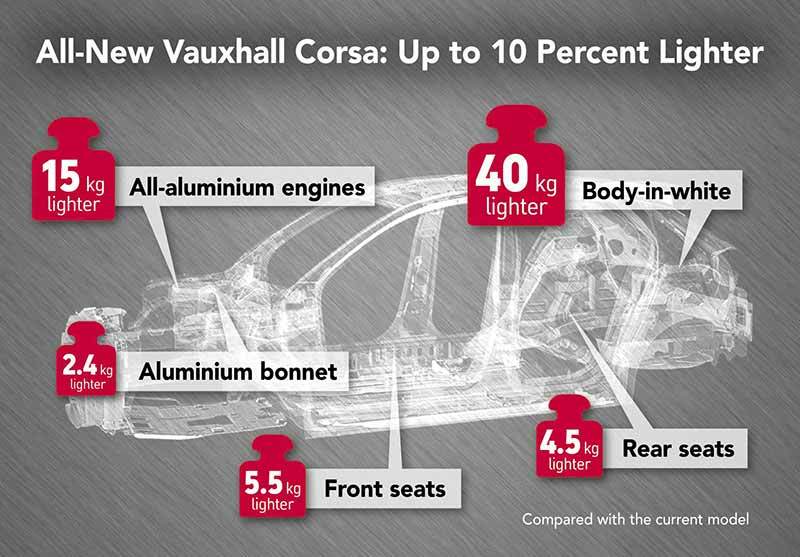 Vauxhall has revealed that the new version of one of their most popular cars, the Vauxhall Corsa, comes with a significant weight loss. The car will be available for purchase from Summer 2019. The new model, the fifth generation of the car, will weigh 980kg. This means that it’s 10% (108kg) lighter than its predecessor. The loss of weight for the car will mean that it’s more fuel efficient and will have improved handling.